Mercedes-Benz Fashion Week shows are always a thrill. No matter what time of year or what city you’re in, these are the world’s premier fashion events, where the top designers show everyone what they have painstakingly labored over for the past six months, or longer. Seeing piece after beautiful piece come down the runway is enough to get any fashion lover excited for the coming season. But Fashion Week is also about pushing the limits—at least, it is for some designers—and for many of us in the audience, the runway shows that add a little something are the ones that truly stand out. While it’s one thing to watch beautiful clothes pass by on beautiful models, the experience and feel of a runway show is what sticks with you when you leave. 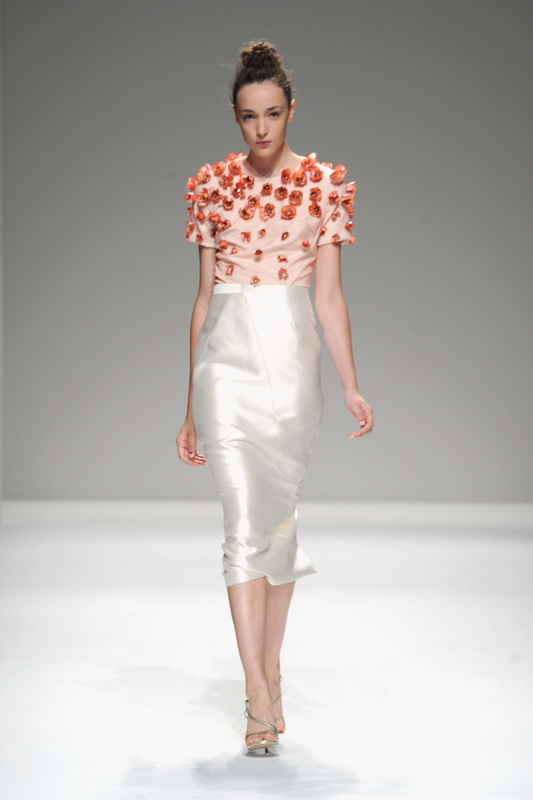 And during New York Mercedes-Benz Fashion Week’s Spring 2014 lineup, there were several designers that seemed to have that extra bit of oomph in their presentations that others, while still showing fabulous collections, just seemed to lack. 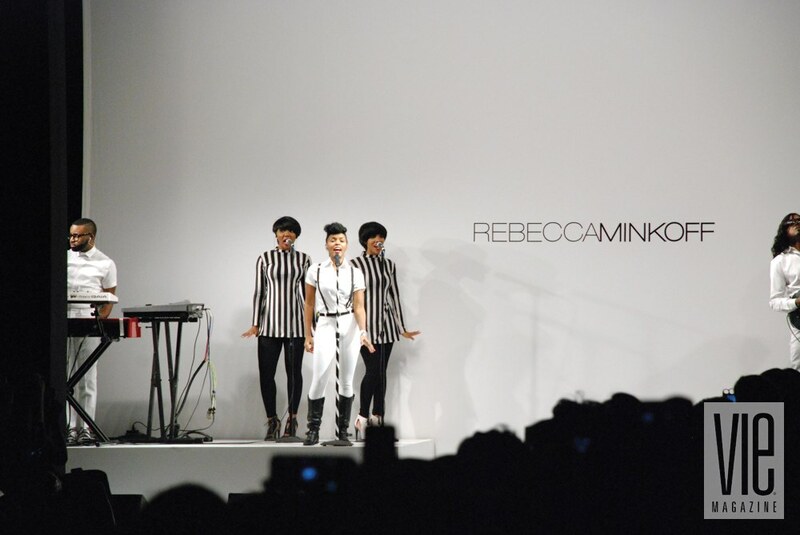 Hip designer Rebecca Minkoff has become known for fun presentations—her fall/winter presentation had featured the band Wild Cub performing at the start of the show. Perhaps that’s why her spring/summer 2014 presentation had the Theatre at Lincoln Center bursting at the seams with attendees—and she certainly did not disappoint. Continuing the live music trend for this show, Janelle Monáe belted out hits while the models sauntered down the runway. 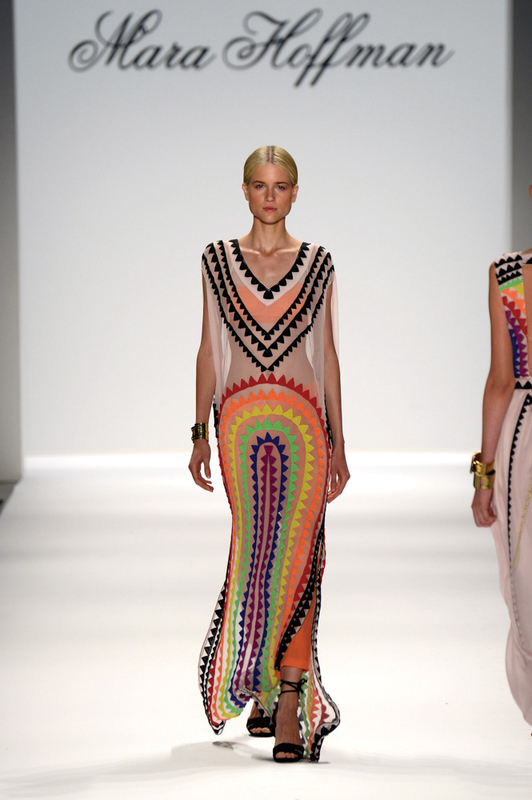 Minkoff says she was inspired by the women of Latin America for this collection; colorful embroidery and chic silhouettes were combined with a stunning array of gladiator-style heels with colorful accents, and two floor-length patterned dresses made for a beautiful finale. Betsey Johnson is another designer known for packing a punch. The motto on her T-shirt read: “Lipstick & Diamonds & Champagne & Rock&Roll”—very apropos for her spring/summer runway show. Models flaunted wild pink wigs as they showed off Betsey J’s new collection of feminine pieces in pink, white, and black—with some animal print thrown in for good measure—accented by very rock-chic chains, gloves, and silver lipstick. The show was enough to have any Betsey fan doing cartwheels. Also daring to stand out from the herd was Spanish retailer Desigual, whose show backdrop was painted with bright pink, orange, and yellow swirls that continued down the runway as psychedelic prints mixed with black and white created a collection girls everywhere will be reaching for this summer. Meanwhile, DKNY transformed their runway to reflect the city outside, with bright yellow taxis and multicolored skyscrapers playing against the athletic-meets-feminine styles, and a special presentation of select designers from Argentina brought a fresh take on emerging fashion from another world. Of course, we know that florals for spring are hardly groundbreaking—thanks for the reminder, Miranda Priestly—but the eye-catching blooms atop the head of Emerson by Jackie Fraser-Swan’s final model were nothing short of whimsical paired with a delicious black-and-white tiered ball gown with matching violets. Meanwhile, Noon by Noor’s cute floral appliqués appeared on everything, but the stunner of the show was the final two-piece gown, with bright white blossoms raining down into navy ones at the hem. These designers and many more, such as the ethereal Nicholas K and the quirky duo Mark and Estel, are continuing to bring new artistic vision to the world of fashion. And in a world where tradition and class are often key staples of an established designer’s collection, it’s refreshing to see some relative newcomers stretching their wings and making their marks on la mode!